Subscribing yourself to a stable and faster ISP might be some of the best investments that don’t require a lot of money. But if you’re planning on achieving high download speeds, you will need a proper WiFi router. Aside from achieving the full speed you paid for, you will even get to have your own secure and private network. Some of these WiFi routers even tend to work as an additional access point or range extender. This way you can get a stable connection throughout your entire house. In the next section, we will talk about one of the best WiFi routers on the market, the Securifi Almond. Most WiFi routers tend to be pretty much the same in design. They only offer the basics and mostly differentiate by having or lacking internet protocols. The ease of setup was allowed with the help of the user-friendly touchscreen interface. It is entirely independent as it does not require a PC or a CD disk to perform a setup or manage. Another great aspect of this router is that you can use it to extend your WiFi signal from your current routers. The Securifi Almond is actually compatible with most popular companies like Linksys and Belkin. WiFi routers can be really useful if you want to cover a large area. 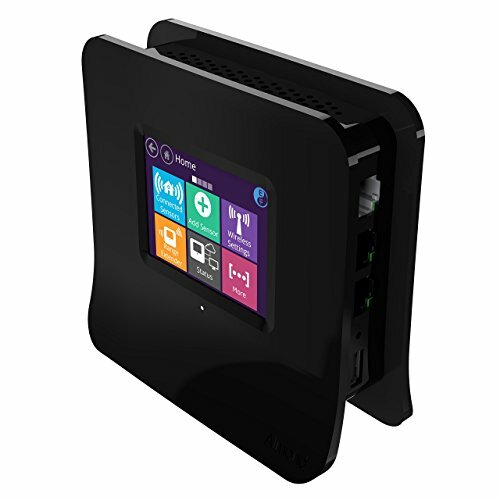 Routers like the Securifi Almond can work as either your main router or a secondary one. This router is compatible with most big-name companies like Linksys. Because of this, you will be able to use two routers at the same time and cover your entire house with a stable WiFi connection. With the wireless bridge option, you can connect two routers together and have them work as a unified network. To put it simply, all of these modes generally either create additional connection points or extend the range of your current WiFi signal. PCs, smartphones, consoles and other smart devices are also compatible with the Securify Almond router. Another useful thing is that the warranty covers an entire year and brings you unlimited technical support. Although the Securifi Almond has a unique design, you should still not limit yourself to only one option. It sure does have ease of use and compatibility as its key points, but you still might want to check other models. A great alternative that is equal or perhaps even better is the TP-Link AC1200 WiFi range extender. It does not offer an easy to use touchscreen interface, but it is a bit more advanced when it comes to networking. The TP-Link model can support far greater speeds, up to 1200Mbps download speeds. The connection will always be stable and the AC1200 will automatically turn on after electrical surges. The TP-Link AC1200 is even better as a solo router solution and it is even greater as a secondary router. You can even use it for extending your current WiFi signal and remove various dead spots in your house. It certainly is a great alternative if you’re a bit more tech savvy with when it comes to networking. Who says that the old and redundant WiFi routers can’t be innovative? With the Securifi Almond, we see one of the first WiFi routers that have a touchscreen. With this feature, we can not only enjoy easier management with a user-friendly interface, you can also set it up easier. About 95% of the customers who bought this router only needed about 3 minutes to set it up. Aside as a router, this can also work as a WiFi range extender or as an additional access point. Another great thing is that you can use Amazon’s Alexa to control the router with voice commands. But of course, there are other alternatives available if you need something else. The TP-Link AC1200 is another great choice if you’re a bit more tech savvy. But it gets nowhere close to the 3 minutes needed to set up of the Securifi Almond. If you want an easy to use product that can still bring the best out of your internet subscription, we recommend the Securifi Almond as the best option.